Resin bonded onto thin, flexible paper backed discs, red emery in colour & are long lasting & water resistant. Available in Avon & Moore Company. 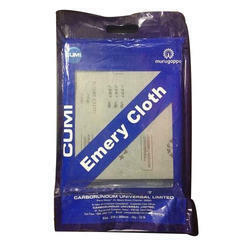 We are manufacturing and import the Emery Sheet products from universal market in competitive price. 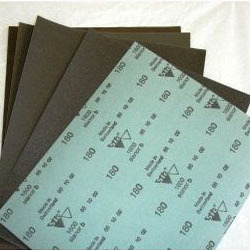 We have maintaining the entire ranges of Emery Sheet products. Used for grinding and smoothening metal surfaces. Paper size 9"
All kinds of abbrassive/Emery paper from 80 grits to 2500 grits. As an acclaimed enterprise of the industry, we are offering a broad assortment of Waterproof Emery Paper. We are offering Emery paper to our client. We provide superior quality emery paper which gives shiny, smooth and pleasant finish to the processed products. Our range of emery paper has wider applications like it is used for sanding down hard and rough surfaces, used in the finishing of high-end watch movements and many more.